Pack of 4 silicone coasters. Designs based on characters from Spyro Reignited Trilogy. Perfect for mugs, glasses, cups, and more. 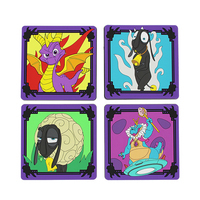 You have our amazing Spyro 3D mug – now grab some official coasters to make sure your surfaces aren’t stained! 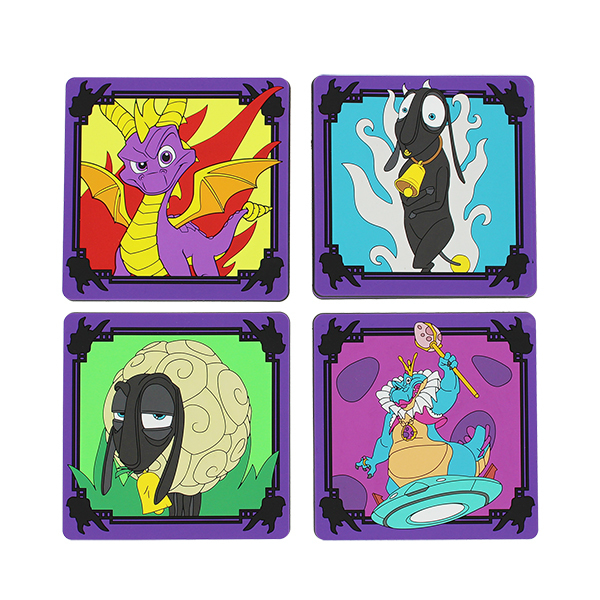 Displaying characters with designs based on Spyro Reignited Trilogy, these high quality silicone coasters come in a set of 4, so you can be sure you’ll never need another coaster again!